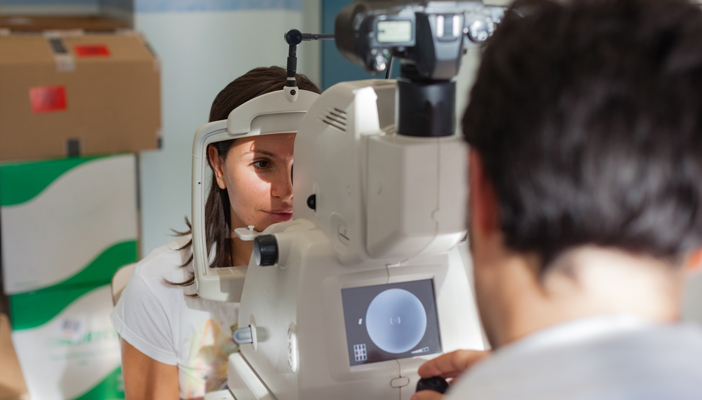 New research funded by the College of Optometrists has found that introducing an intermediate-tier service (ITS) for eye care services could reduce the volume of patients referred to hospitals by GPs and provide replacement services at lower costs. The research, published by BMJ Open, although not applicable across all parts of the UK, investigated the changes in volume of hospital ophthalmology patients and the related costs, before and after minor eye conditions services (MECS) were introduced in two London boroughs. For Lambeth, first attendances to hospital ophthalmology referred by GPs were differentially reduced by 30.2 per cent at the largest provider, compared with Southwark. Follow up attendances were differentially reduced by 16.7 per cent at a second hospital and by 14.6 per cent at other providers. For Lewisham, first attendances to hospital ophthalmology referred by GPs were differentially reduced by 75.2 per cent at the largest provider, compared with Southwark, and by 40.3 per cent for follow-up visits. Total hospital and ITS costs in Lambeth were 2.5 per cent higher in the period analysed after MECS was introduced. Total costs in Lewisham were 13.8 per cent lower. By comparison, costs in the control area of Southwark were 3.1 per cent higher. The majority of Lambeth and Lewisham MECS patients presented with minor anterior eye disease and over 80 per cent of these patients were managed by their community optometrist. The Lambeth scheme was concentrated in eight optometry practices and five practices took part in Lewisham. Equally, the number of referrals varied; 56 per cent of MECS patients in Lambeth were referred by a GP, in comparison with 75 per cent in Lewisham. This research was conducted as part of the College of Optometrists’ Enhanced Scheme Evaluation Project (ESEP) and was commissioned to provide evidence about optometrists’ involvement in community schemes. Qualitative data from the study was published last year by BMJ Open exploring the views of patients, community optometrists, GPs, commissioners and ophthalmologists. Previous research includes an in-depth analysis of the introduction of MECS in Lambeth and Lewisham also published by BMJ Open. The first systematic realist review of the evidence on the effectiveness of these schemes was published in the College’s international research journal Ophthalmic & Physiological Optics (OPO).